What have you been cooking lately? 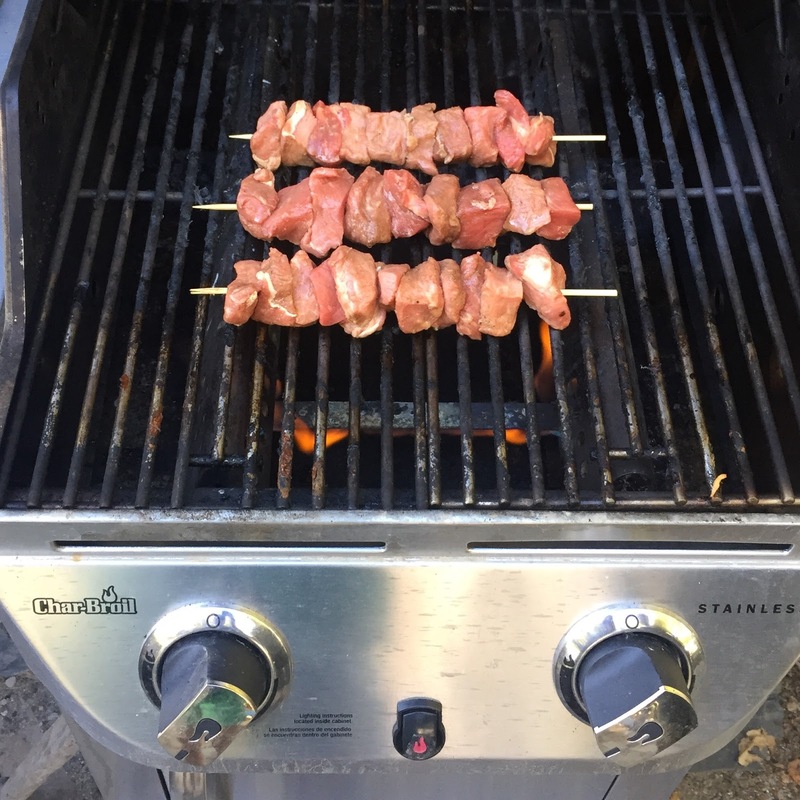 Last week, as a little going away dinner for my sister Amy before she took off for summer in Ireland, I made marinated steak kabobs and a salad that I used to make all the time back in Zurich. I love this particular salad so much that I actually had an airline pilot I know bring back some of the secret ingredient herbed vinegar for me when he had a Zurich flight. It is the BEST. I love how with each season, there are different cooking methods and opportunities to cook with different ingredients and produce. I'm loving our grill right now and I bought heirloom tomatoes for a Caprese salad this weekend. Long live summer eats! Bun-less, vegetarian, gluten-free and nutritious! Must try these. That amazing Paris sandwich, explained. Yogurt sauce, my favorite vegetable and spiced meatball kabobs?! OMG, yes. Rosé fit for a summer picnic. I've died and gone to heaven. We are obsessed. Trader Joe's brand Brewed Ginger Beer yields the best results. And never add extra vodka. Measure that #@&*! And, finally, so you can spend more time on the bike, or at the pool, or reading that book in the shade, a guide to creating an efficient mise en place. I'm so excited that so many of you have signed up for the Swiss Lark 30-Day Clear Out Challenge. The ideas are flowing and it's going to be so good! Can you believe that July is just around the corner?! Our eight year anniversary is coming up. Coco and Theo actually start swimming lessons that very day. How sweet to think how far we've come in eight years. Enjoy your weekend and see you back here Monday! Putting that vinegar in my coop@home basket as we speak!